A versatile compact EDC fixed blade knife which can accommodate a variety of carry positions, the Steel Will Censor 1310 is an easy include to any system. 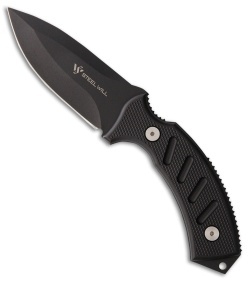 Coming at 7.68" in total length with a 3.54" blade length, the modified drop point blade shape is light and agile. Made from Japanese AUS-8 stainless steel with full tang construction with molded nylon hand scales with a pommel glass breaker. With the included DOTS clip, you're able to carry the Censor in a myriad of positions. Whether scout carry, normal vertical belt carry or inverted on a pack, the injected molded sheath keeps the knife secure.